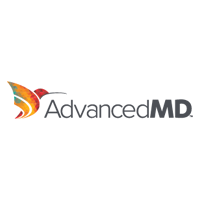 Kareo is a cloud-based provider of an integrated set of tools for billing, electronic health records, and patient management. It features scheduling and appointment management, data tracking, charting, e-prescribing, reporting, online payments, and a patient portal. In this article, we covered user reviews and pricing. Ready to try Kareo? Request for a demo. Users who gave Kareo a positive review said that the program is intuitive and offers a lot of useful features like billing and reporting. Many also like that it is web-based, so it is accessible from anywhere with good internet connection. Prompt customer service was also cited. 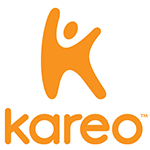 Users who gave Kareo a critical review reported experiencing system glitches and errors, and said that the program is slow to respond at times. Some also mentioned that the pricing structure has significantly increased over the years. Kareo offers four main subscription options: Clinical and Engage plans ($100 to $300 per provider per month), Billing plans ($75 to $300 per provider per month), and Managed Billing (customized). A wide range of plans is available for physicians, non-physicians, and therapists. Ready to try Kareo? Request for a demo. Yes, Kareo Clinical is compliant with all HIPAA Privacy and Security Rules. Data is securely encrypted, stored, and backed up in the cloud. 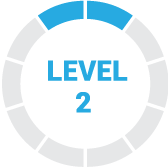 All data being sent to and downloaded from Kareo’s servers are protected with the highest industry-standard encryption. No. There are no setup fees and no long-term contract. Users simply pay on a month-to-month basis and can cancel at any time. Not sure if Kareo is the right fit for you? 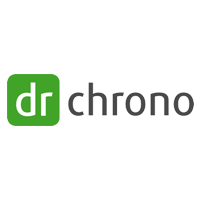 Read our reviews of all top EMR software providers or check out one of these three Kareo alternatives. Flexible software that combines free text with templates, allowing a more individualized progress note. It is profitable for a solo professional, with the required functions of programming, billing, electronic prescription and Patient Portal. The documentation requires many mouse clicks. The billing component is not particularly intuitive and also requires several steps to achieve what should be quite simple. Generally I am satisfied, since I do not believe that another program at my price offers the functions and flexibility that I was looking for. This program has its peculiarities, but it is very functional. Once I am more familiar with the program, I can feel even more favorably about it. This application is fantastic, since it has a very aesthetic and dynamic interface, which makes this App very attractive to what graphics, also highlights the good role of the technical service of the App, as well as the regular performance of the same. However, it consumes a lot of internal memory, and has a medium level performance, since sometimes it gives certain slowdowns, so it requires a team of expectations and resources between medium and high. We find an intermediate result what we have seen on the application so far, we are on the lookout to observe their progress through future updates, even if it has small details, it is not something that a good update does not correct. However, it lacks an attractive and aesthetic interface, is not modern and is somewhat confusing to use for an average user, its range of tools is very useful, however it has very unnecessary functions and tools. We find it a very incredible App, we are fascinated with the performance it has, as well as the fact that it does not consume much space on any device. However, it needs new visual updates and the removal of many obsolete tools. It is very easy to navigate and the customer service is professional and useful. I love how easy it is to maneuver from screen to screen and how detailed each option is. Your support is the best of the website. Some functions that used to be a free item are now restricted and if you used the features before the paid version, you should buy them at that level. The program provides basic tools to run a business and a successful growth practice. The problems are solved and solved quickly and the whole company loves it. 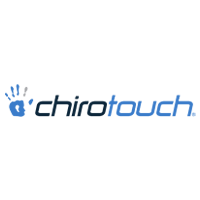 user friendly once you’ve been able to work on it a while easy to navigate once you get used to where to locate everything great bang for the buck – billing and pricing to send out statements, etc. is extremely reasonable and has helped our facility capture revenue quicker than previously reports feature / numerous available – provider productivity is one of my favorite reports to run — gives a great overall view of what is happening and how each of our on-site providers are contributing to the bottom line we only use the PM part of the software but have found this to be very beneficial with most everything we require for use in a software purchase. updates are generally provided after login; would prefer email notifications for system/software update information.